Have you ever noticed how quickly our attention focuses on what is not working when almost everything else is functioning appropriately? The squeaky door, disgruntled staff member, miffed donor, misspelled word, or flickering light. I noticed last night that one strand of lights on our Christmas tree was out. After taking a focused approach to dealing with the problem and checking multiple connections, I realized that the cat was sitting on a branch inside the tree. Now the cat was the prime suspect. The rest of the tree was aglow and decorated, nothing had changed but the lack of illumination from 50 small bulbs. My methodical process turned into frenzy and I rapidly began replaying the scene from the film Christmas Vacation when Clark Griswold (Chevy Chase) looses his composure and karate chops the antlers off the display of reindeer in his lawn and punches his fake Santa. Before I took any irrational actions I realized another possibility. Perhaps it was not a single bulb and upon replacing the fuse there was once again light. I try to remind myself of the quality of the problem. Is it a high quality problem- the staff member wants more responsibility and therefore complains, the donor has a great idea about how their funds could have been used more effectively, multiple sightings of the misspelled word in your brochure reassures you that people are reading your material. 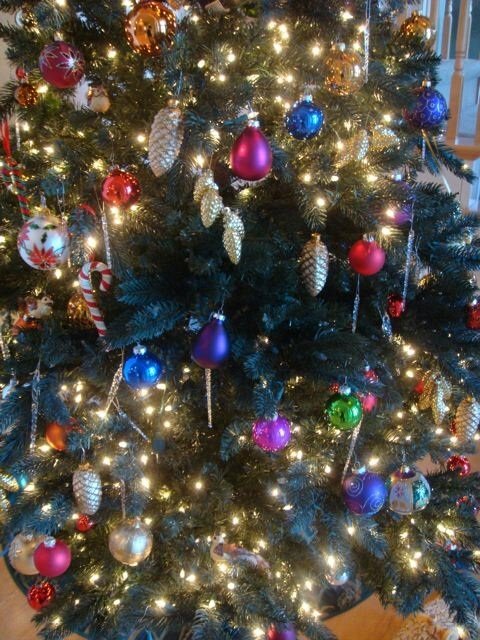 The Christmas tree was still upright, decorated, symbolizing a tradition that was important to our family. A ten cent fuse was all that was required to fix the lights. What to focus on is within our control and perhaps we are too quick to see the big picture and the opportunity. Frankly, the fact that the broken strand of lights on the tree are now blinking provides great humor.